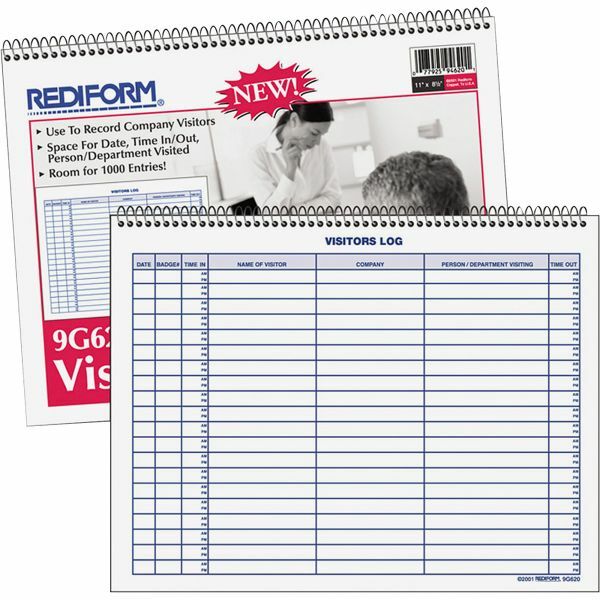 Rediform Visitor's Log Book - Log book for visitors records name, company, date, badge number, arrival/departure times and department or person visited. Design features spiral binding and a flexible cover. Log book offers space for 1,000 entries on 50 pages. Paper is made with a high percentage of recycled material.